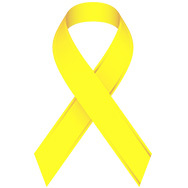 Today the team at Jensen Bowers is showing their support for the enduring commitment and dedication of Queensland’s rural fire service crews and volunteers, by wearing a Yellow Ribbon. An initiative of the Rural Fire Brigades Association of Queensland, Yellow Ribbon Day is about raising awareness and showing your appreciation of the 35,000 rural fire volunteers who dedicate their time to protect and defend their communities. This very worthwhile cause marks an event-filled week which focusses on raising awareness for a range of emergency and disaster awareness. Yesterday was International Day for Disaster Risk Reduction (13 October), and this week is RACQ Get Ready Queensland (13-19 October). RACQ Get Ready Week and RACQ Get Ready Day are celebrations of the resilient nature of Queenslanders, whilst raising awareness for emergency and disaster awareness and preparation. Check with local councils for activities throughout the week. Join Jensen Bowers by showing your support and support these very worthy campaigns.